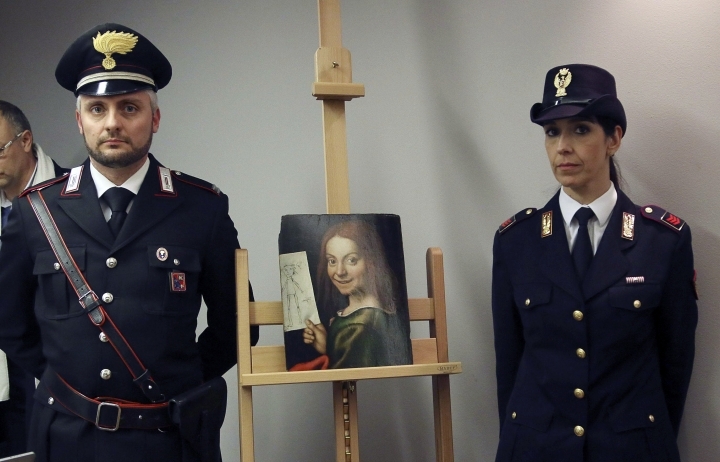 VERONA, Italy — Seventeen masterpieces valued at 17 million euros ($17.7 million) were returned to Italy from Ukraine on Wednesday after being stolen by masked, armed robbers from a Verona art museum last year. Italian Culture Minister Dario Franceschini, who traveled to Kiev to retrieve the paintings — which included works by Rubens, Tintoretto and Mantegna — said the possibility of ever recovering them once seem remote. Still, the paintings returned with little more than scratches after their long ordeal, according to an art expert. "It's an important day, because the works are all returning to Verona intact," Franceschini said. "It was an ugly story that became a beautiful story." Ukrainian President Petro Poroshenko handed over the paintings to Franceschini in a ceremony in Kiev, saying "the theft of masterpiece paintings is akin to stealing part of the city's heart." They were stolen in November 2015 when three armed robbers entered the Castelvecchio Museum, located in a medieval castle, at closing time just before the alarm system was activated. The robbers calmly removed the paintings before escaping in a security guard's car. A guard at the museum, Pasquale Silvestri Riccardi, was convicted of armed robbery and sentenced to 10 years and eight months in prison earlier this month. Five others were also convicted, including Riccardi's Moldovan girlfriend, who received six years, and his twin brother, who was sentenced to eight months. 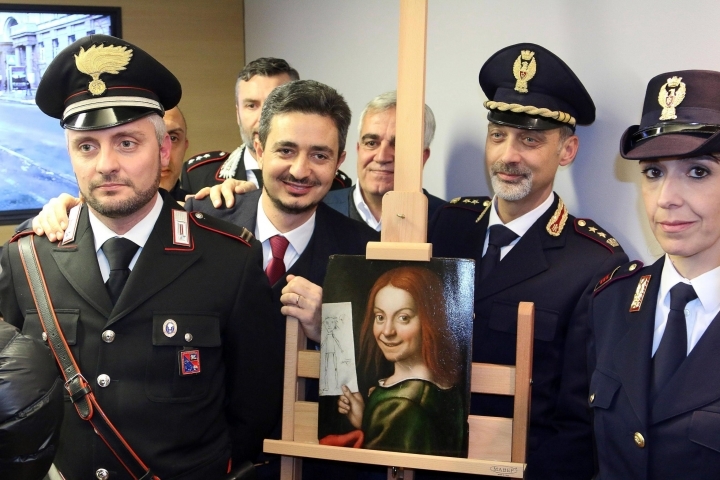 Franceschini credited strong cooperation between law enforcement in the three countries for recovering the paintings and finding the thieves, giving particular praise to Italy's Carabinieri art squad. The culture minister also announced the government would introduce legislation this week making the theft or damage of Italy's cultural heritage specific crimes with elevated penalties. "They suffered scratches, nothing very serious," Napione said.